A handful of pieces are now available as art prints in my Society6 shop! Within the next few weeks I plan on uploading more work and making the art available on more merchandise, so please let me know if there’s anything in my portfolio or on this sketch blog that you’d like to see in my shop. Some of these designs should be available for the 2016 holiday season. In the meantime, I’m available to design & illustrate greeting cards, posters, and anything else you can dream up! 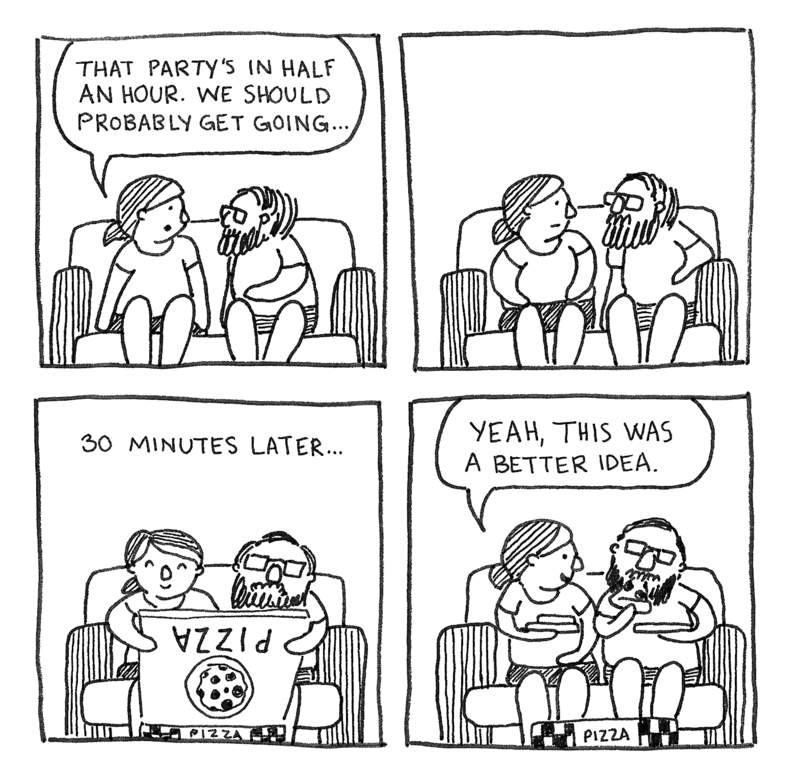 Apologies to the hosts of all the parties and gatherings we’ve skipped for pizza. 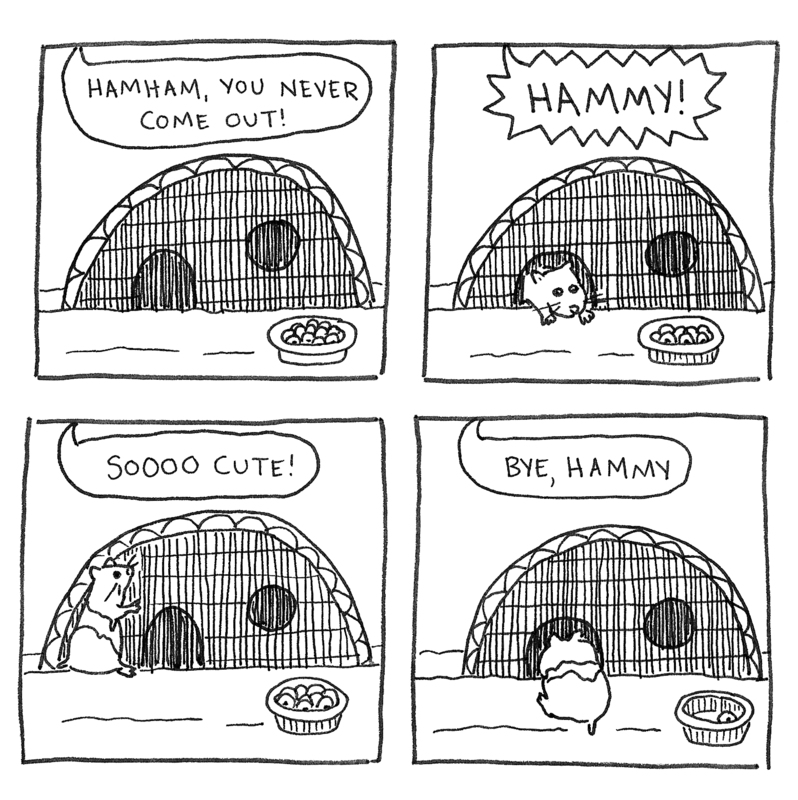 Our hamster is even more antisocial, if that’s even possible.